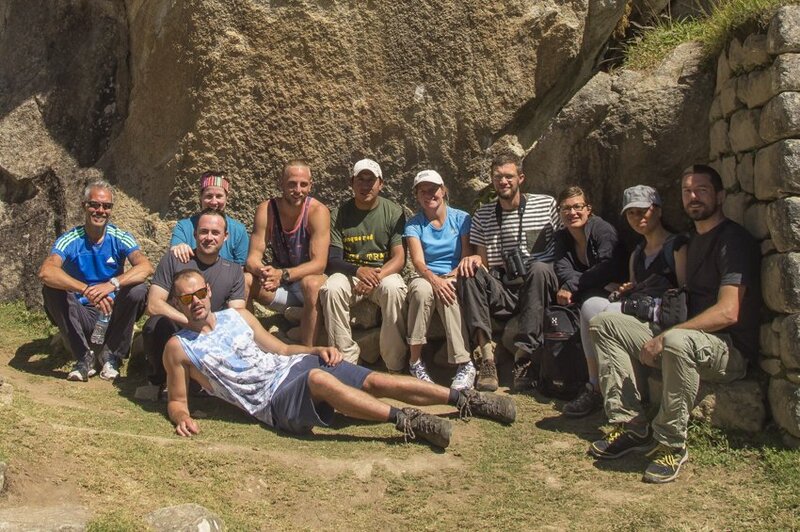 For most of us the Inca Trail ends in Machu Picchu with a well deserved rest. After 4 to 7 nights in the Andes wandering up and down through the cloud forest and impossible mountain passes, walking by and through a myriad of ancient Inca settlements, fortresses and agricultural terraces, any thought in your mind will surely involve a long hot shower and a good sleep in a proper bed. However, the fun is not over yet if you’re up for it! Huayna Picchu is the peak that protects the northern side of the old city and is also the name of a fortress on its summit, considered the residence of the Inca’s high priest and the virgins of the city. Coincidentally, “Huayna Picchu” is also the name of the most demanding physical challenge I’ve ever faced. Would you dare too? This is the story of how, not being exhausted enough after our 4-day trek, I decided to go ahead and climb up Huayna Picchu the same day we reached Machu Picchu. At the time Michelle and I organized the 4-day trek to Machu Picchu with Inca Trail Reservations we were offered the possibility to book a ticket to climb Huayna Picchu. At that time we said: “the Huayna what?”. After some enquiries to the trekking company and mainly Googling around really, we decided to include the Huayna Picchu in our itinerary. The adventure bug was biting hard! At the end of the last trekking day, Huayna Picchu was showing itself majestically from the Sun Gate (the original north entrance gate to the sacred city) and I could feel the excitement rise. I would be on that peak in no time!. Finally at the end of our visit around Mach Picchu it was time for us to leave our awesome group and amazing porters who had accompanied us along the Inca trail and head towards the next climb. At that point, both Michelle and I were completely exhausted, a more than plausible reason to give up on the idea of one more extenuating walk. Michelle finally succumbed to the idea (very wisely, I’ve to say) but myself, stubborn as I am, decided to ignore all physical pain in my body and go ahead with it. So, there I was, at the entrance of the route to the top, signing up on a list with name, emergency contact and entrance time so that they could start searching for me (or my body, I guess) in case I was not back in less than 2 hours. I was not expecting that… or at least I did not want to believe all of the stories of daring visitors stumbling and falling off the mountain. Anyway, at that point there was no way back and my camera, my water bottle and myself went on with the challenge. 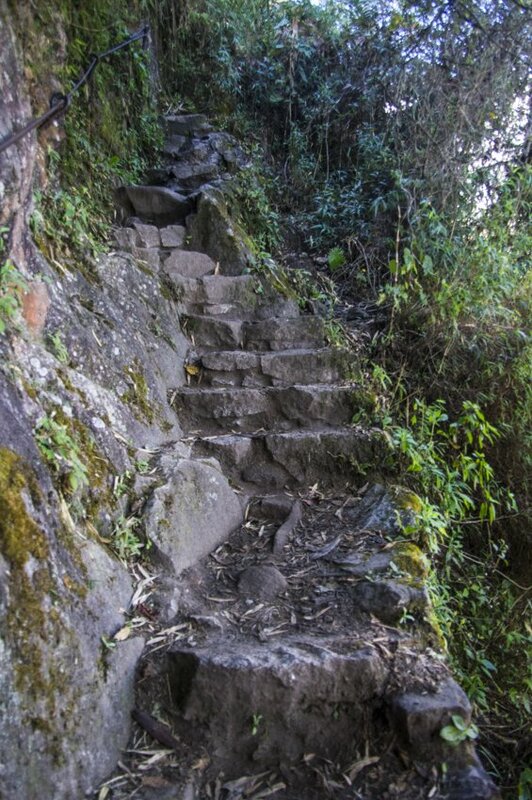 As I started walking up the ancient steps, I realized the old granite of many of them was either crumbling or covered in wet slippery moss, or both. One more reason to grasp the rusty safety cable on the side (if any) as strongly as I could, not that I needed any reason other than the long fall off should I just trip. Good thing was, I was not alone and everybody in the ascent was struggling the same, sweating like pigs and saluting with a smile whenever we dared to raise our eyes from the floor (not too often…). This ritual went on and on until the path was too narrow even for a single person. Close to the summit, the path went through a narrow tunnel, so narrow I thought I would not fit in… or the worst of it, I couldn’t get out! 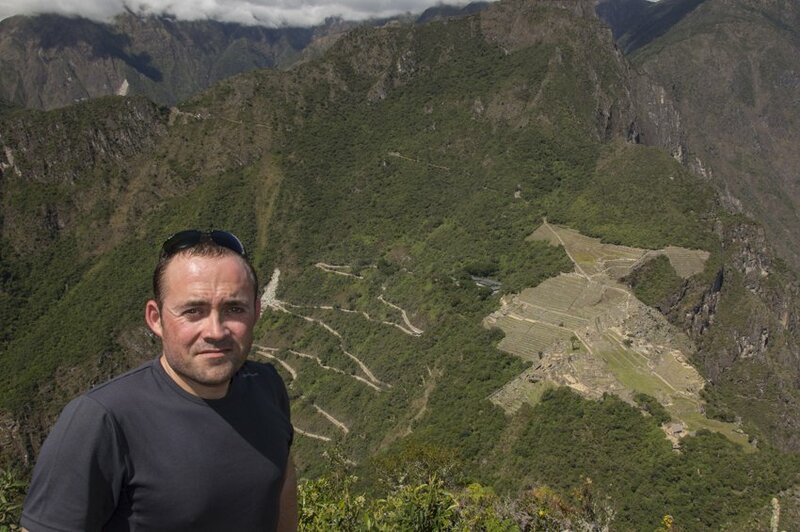 The Incas must have been small people indeed! After some very intense 40 minutes, I finally made it to the summit! And alive! The first thing I did when on the top was to reflect on what I had just done. 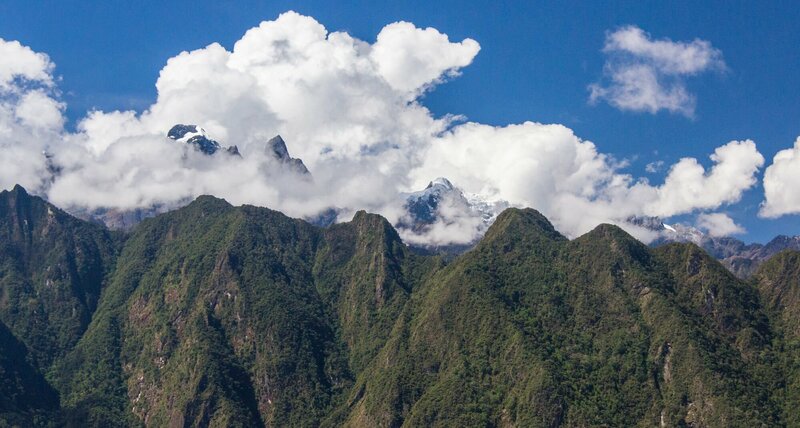 The second, to marvel at the beauty of Pachamama (the Earth goddess for the old Incas), you would not believe how full of life that little natural platform at the top was. Vegetation and butterflies, tones of them! Everywhere!. 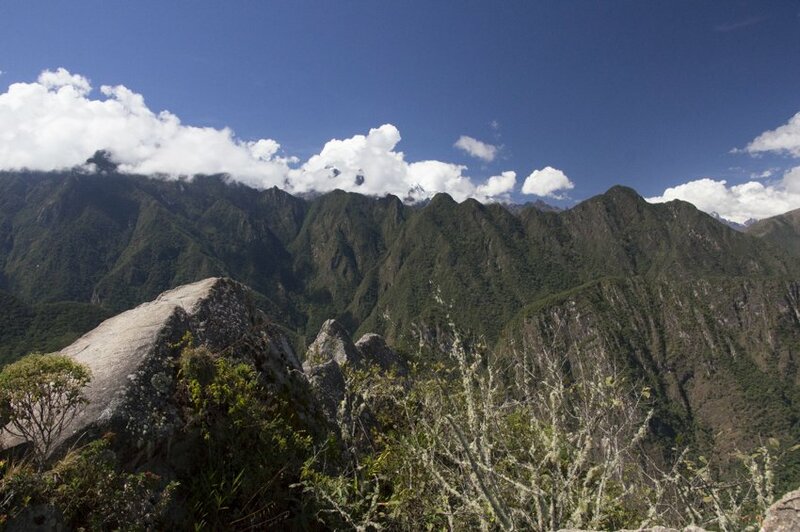 The views were breathtaking, with clear, 360º unobstructed views of the mountain peaks of the Andes. After the obligated selfie, it was time to go back to my group and Michelle down to the town of Aguas Calientes. I guessed the descent would not take as long as the way up, it would be a bit easier. I tell you, those narrow passages and trails carved into the side of the mountain look much more challenging when you’re facing down. I’m generally not afraid of heights but I’ve to admit I felt somehow apprehensive during the first sections of the descent. That’s how tough the way down was. Following the signs, I started going through the impossibly small tunnel with the narrow flight of stairs (so narrow I had to walk it sideways with my body stuck to the wall) and the trails of crumbling granite until the base. On the way down, I met a group of Israeli visitors that spent the whole descent chanting in Hebrew, to scare fear away I guessed. How surreal and pleasantly surprising was that! In any case, we made it all together to the base and when the path was wide enough I overtook my Israeli companions, said goodbye with a smile and rushed to the check out point, full of excitement and anxious to sign that infamous list with my exit time. Don’t even think about it, just go! 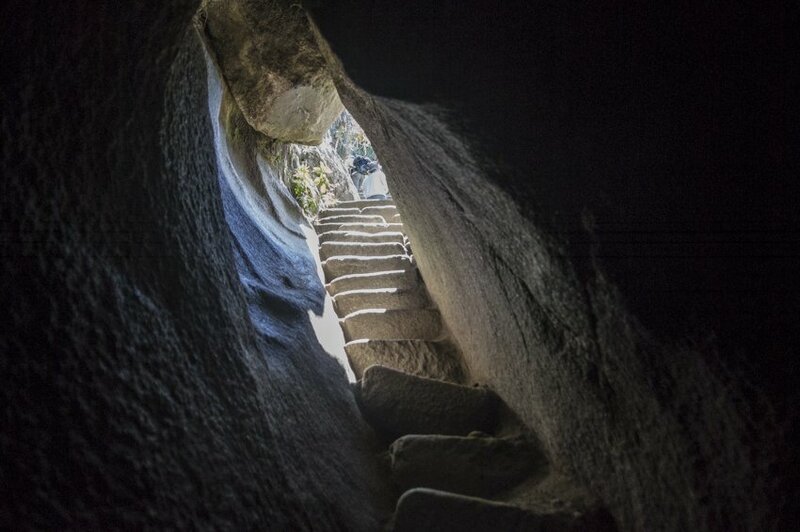 For some years now, the access to Huayna Picchu is regulated and strictly limited to 400 people each day. Book your climbing permit well in advance! Take water and some snacks with you. Wear appropriate shoes. This trek is no joke and the trail can get very slippery very quickly. This is not a trek to be done with kids or babies. Don’t forget a camera, preferably a lightweight one! Finally, focus on the trail and be super careful! You definitely want to reach the summit for the views and to go back to tell everybody about the wonders you saw up there, right? 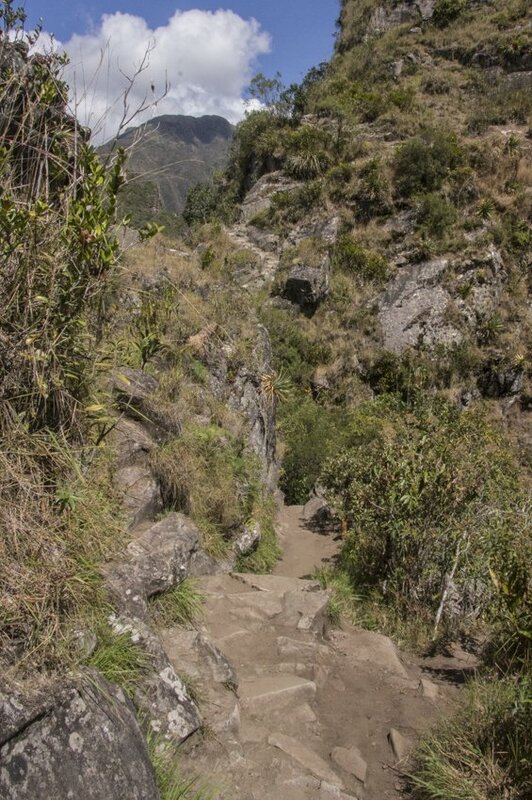 How would you feel about climbing Huayna Picchu? Would that be something you’re ready to do? Or have you already done it and want to share your experience with us? Just drop us a comment! Let us know in the comment section! 6 Comments on “The One When I Survived Huayna Picchu”. Join the Conversation Here! What a beautiful journey. Thanks for sharing. Yikes! 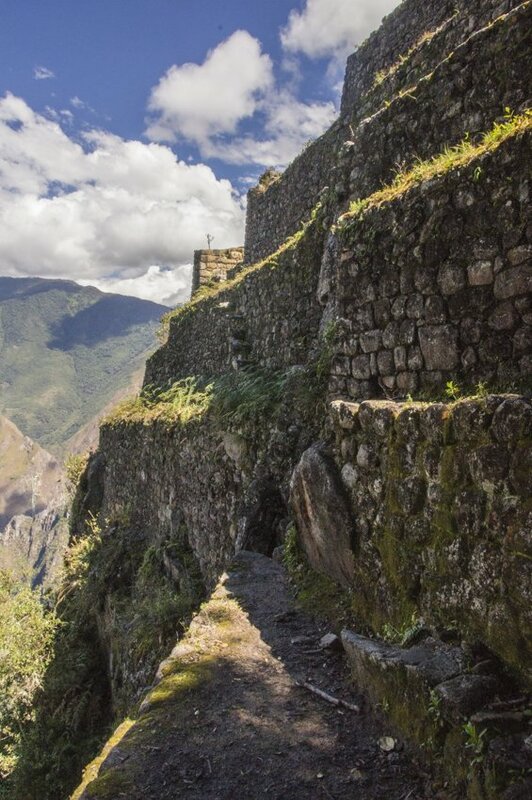 Sounds terrifying, but what a sense of achievement – the photos make it look like it was so worth it, and you don’t get to see photos from Huayna Picchu as much as you do the ‘classic’ shots. 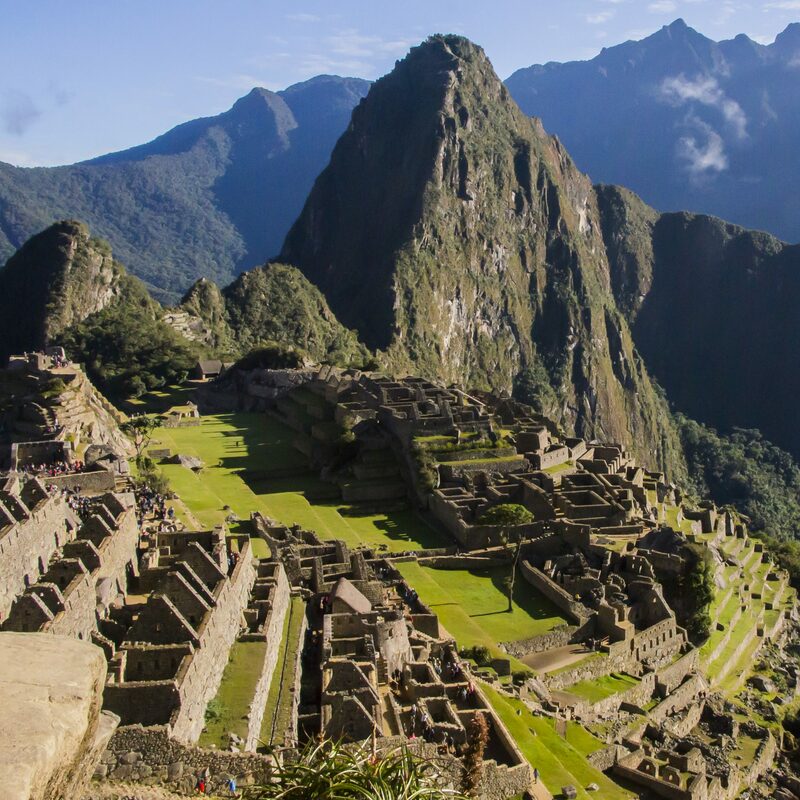 Will have to consider this when I go to Machu Picchu…well, maybe! I love challenges like this! I plan to do Machu Picchu and have been looking for something different to add to it- this might be it. Awesome! Do you plan to do the 4 or 7 day trek? If you like challenges, the 7-day might be for you!